We are extremely pleased to announce the details for this year's Convention. We are holding the Convention at the Tavern on the Lake in Hightstown, NJ. The Convention will be held on March 23rd from 9 a.m. to 6 p.m. The Party's Business Meeting will be held on morning of March 23rd and will be open to all. Registration will be required for the afternoon events, which include a luncheon and speakers. Our full convention package includes lunch on Saturday and afternoon speakers with coffee and refreshments available all day. Early bird registration for the full Convention is $55 until March 19th, after March 19th the price increases to $65. We accept all credit cards on our registration page. A very affordable student discount is available. Note that the business meeting on Saturday morning is free. You do not need to register for the business meeting. Jon Peditto is a photographer and long time cannabis grower from Mays Landing, New Jersey. In 2012 Jon was arrested for growing 17 marijuana plants. Jon refused to take a plea deal and took his case to a jury. He was convicted of operating a drug production facility and sentenced to eight years in prison. Jon was just released and is now rebuilding his life. James Taylor is an Associate Professor of Philosophy at The College of New Jersey. Branded a heretic by the London Times for his arguments in favor of legalizing markets in human organs in his book Stakes and Kidneys: Why markets in human organs are morally imperative (Ashgate, 2005) he is also the author of Practical Autonomy and Bioethics (Routledge, 2009), and Death, Posthumous Harm, and Bioethics (Routledge, 2012). He is the editor of Personal Autonomy: New essays (Cambridge University Press, 2005) and Death: Metaphysics and Ethics (Oxford University Press, 2013). He is currently working on a book on the ethics of using compensated donation to procure blood and blood products. James currently lives with his wife and daughter on a (very) small farm that they’ll be turning back into a dairy as soon as they acquire the necessary cows. In the meantime, he is forced to rise at insanely early times each morning to tend to the various needs of chickens, lazy hunting dogs, pointless cats, and bees. 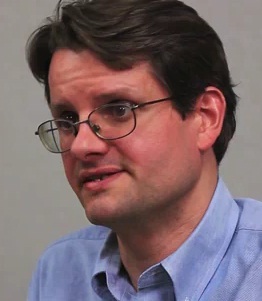 Matt Welch, is editor at large of Reason, the libertarian magazine of "Free Minds and Free Markets." 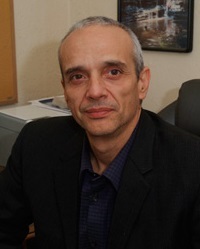 He served as Reason's editor in chief from 2008-2016. He is co-author, along with Nick Gillespie, of the 2011 book The Declaration of Independents: How Libertarian Politics Can Fix What's Wrong With America, which Tyler Cowen called "the up-to-date statement of libertarianism." Welch also wrote the 2007 book McCain: The Myth of a Maverick. Reason has been a Western Publications Association magazine of the year finalist every year under Matt's leadership, winning five total first-place Maggie awards, as well as another 18 first-place notices from the Greater Los Angeles Press Club. Welch himself has won eight first-place L.A. Press Club awards over the years, for work on subjects ranging from Jackie Robinson to Cuba to the "banal authoritarianism" of Thomas L. Friedman and David Brooks. From December 2013 to January 2015 he was co-host of the nightly Fox Business Network program The Independents. 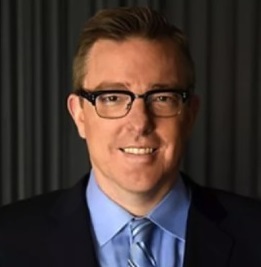 Before assuming editorship of Reason in 2008, Matt worked as an assistant editorial pages editor for the Los Angeles Times, as a media columnist for Reason, California correspondent for The National Post, political columnist for WorkingForChange.com, and regular contributor to the Online Journalism Review. Before 1998, he lived for eight years in Central Europe, where he co-founded the region's first post-communist English-language newspaper, Prognosis, worked as UPI's Slovakia correspondent and managed the Budapest Business Journal. Matt's work has appeared in The Wall Street Journal, The New York Times, The Washington Post, CNN.com, ESPN.com, The Hardball Times, The Columbia Journalism Review, Salon.com, Commentary, LA Weekly, Orange County Register, and scores of other publications. He is a frequent guest on MSNBC, Fox News, Fox Business Network, CNN, public radio, and AM radio stations from coast to coast. He blogs daily at Reason's Hit & Run, and maintains an active Twitter feed. Matt lives in Brooklyn, New York, with his wife and two daughters. 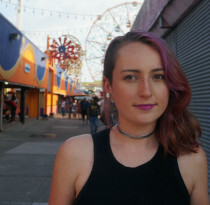 Melissa Edgar is a student, activist and big mouth from New Jersey. Having recently graduated from Rutgers University with a dual degree in Political Science and Cultural Anthropology, she is onto the application process for JD programs beginning in the fall. Melissa has used most of her time in academia to run litmus tests against her libertarian principles, and apologize to her peers for Gary Johnson. Just kidding. She has focused her work, whenever possible, on libertarian approaches to social justice issues. Melissa has gathered thousands of signatures for ballot access across several election cycles, and has officially spent “enough” time in rural Illinois. She also uses her clipboard as a professional camp counselor, through programs with Scouts BSA and CISV International. Most recently, she spent months before the midterm elections working on campaigns in Wyoming, Utah and Montana. In her free time she sells merch for her friends’ punk bands out of a van across Canada, performs spoken word poetry, and eats as many burritos as possible. Currently, she lives in West Philadelphia. 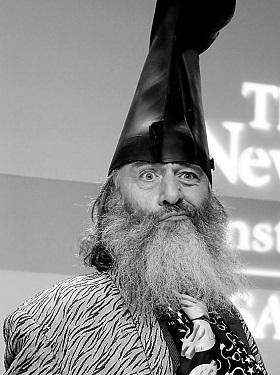 Vermin Supreme is an American performance artist and a political activist who has run for a number of political offices. He often calls himself the "Emperor of the New Millennium" and is known for wearing a boot-shaped hat and carrying a large toothbrush. Vermin describes himself as a "friendly fascist" who - running on a platform of mandatory dental hygiene, zombie power and a pony for everyone . On May 28 2018, Supreme declared his candidacy for President of the United States, seeking the Libertarian Party nomination. 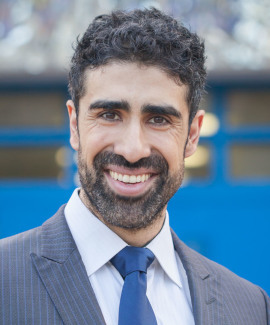 Arvin Vohra is an author, educator, host of the Libertarians Working For You radio show, and former vice-chairman of the Libertarian National Committee. Vohra ran for the Maryland House of Delegates once, and for U.S. House twice, as a Libertarian. He was a candidate for U.S. Senate in the 2018 election in Maryland. Arvin Vohra is seeking the LP nod for President, campaigning to downsize, defund, and eliminate damaging federal government programs. Before start­ing his own educational business, he stud­ied Math­e­mat­ics and Eco­nom­ics at Brown Uni­ver­sity, and then worked as an actuary. After seeing the negative effects of government on business, education, and more, Arvin spent more and more time working for the cause of liberty. Arvin founded The Vohra Method, a college entrance exam preparatory company. Tavern on the Lake is located at 101 North Main Street in Hightstown, NJ. The convention is to be held in the upstairs room. The entrance to the upstairs room is outside to the right of the main entrance.